OPMI Visu 200 S8 Microscope carries outstanding features that have been acheived by focusing sharply on the needs of the surgeon and patient. OPMI VISU 200 has proven to be a very reliable microscope that is great at delivering red-reflex for Cataract surgery and Vitreo-Retinal procedures. 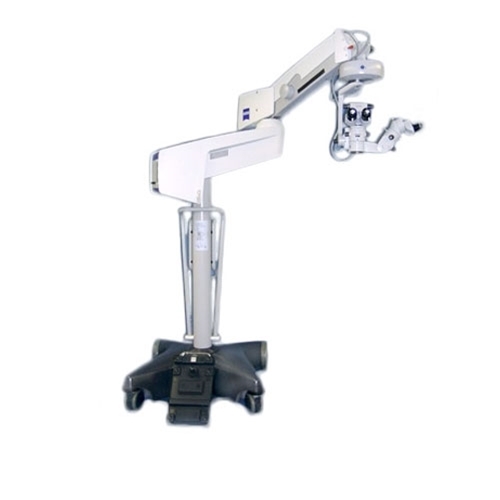 The S8 stand is a fully electromagnetic clutched floorstand for effortless movement across the surgical field. The S8 stand has predetermined settings for brightness, magnification, motor speed, and the configuration for up to nine different users.